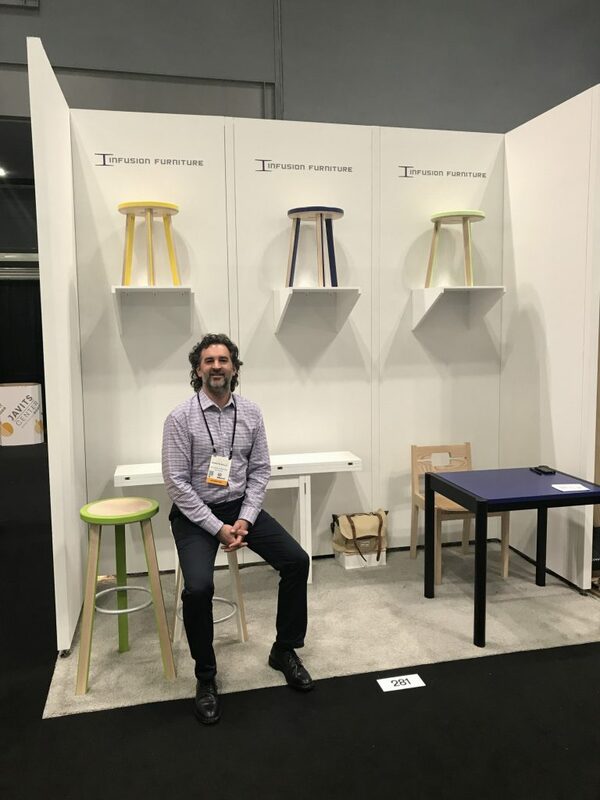 ICFF 2017 – I recently spent five days in NYC, exhibiting at ICFF (International Contemporary Furniture Fair) for the first time. As one of the culminating events of NYCxDESIGN, NYC’s annual Design Week, this year’s show was one of the largest in its 29 year history, with 700 exhibitors and 30,000 visitors. 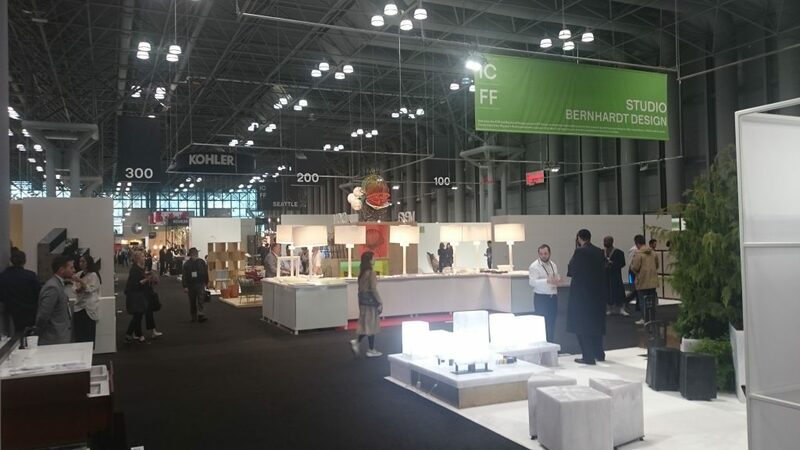 ICFF is the premiere industry trade show in North America for furniture and other interior products such as lighting, mirrors, tableware, etc., bringing together a diverse group of exhibitors from 30 countries (see the ICFF video here). The show ran Sunday 21st – Wednesday 24th. I spent Saturday setting up, and learning the rules of the union controlled Javits Center. I had the opportunity to explain our work to many visitors to the booth, demonstrating the Transformer Table and fielding questions on how we make the Trio Stools. The dense layout of booths drew visitors down every isle and into every corner of the hall. When I did sneak away from the booth, I was impressed with the work presented by other makers, and I left the show feeling inspired, challenged, and excited for next year. For four days, the Javits Center hall buzzed with a mix of industry professionals – interiors designers, architects, developers, manufacturers, retail buyers, etc. – and on Wednesday, the general public, all curious to explore this year’s latest and greatest in modern design. In fact, Manhattan was abuzz (well, it’s always abuzz) with numerous NYCxDESIGN events spread over three weeks, everything from exhibitions, to panel discussions, to award ceremonies, and parties. Design Week is a celebration of design, after all.